I have a lot of cookbooks, some of them drifting into the category of what you might call "vintage". Looking through these old books, I have become intrigued at how much our food tastes and food preparation have changed, even in a fairly short amount of time. Hardly anyone ever uses lard now, but fifty years ago, it was pretty common. Frying food is, for most of us, a rarity, but years ago, especially in the south, frying was much more of a weekly, perhaps even daily, event. And some of the recipes I have found seem antiquated and unfamiliar not only because of their ingredients or cooking methods, but sometimes because of their odd names. So it was when I stumbled across a recipe called, Tramp Eggs. 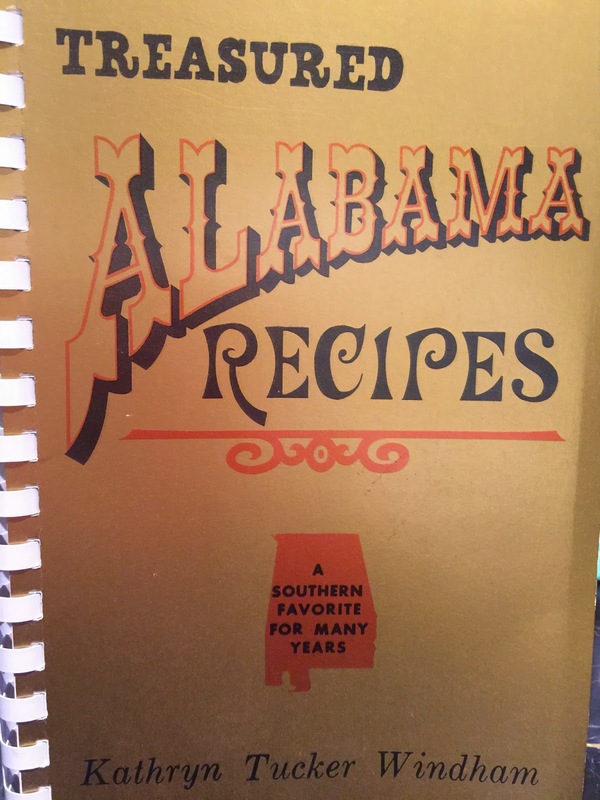 The recipe is in a book called Treasured Alabama Recipes by Kathryn Tucker Windham, first printed in 1967. Kathryn Tucker Windham, born in Selma, Alabama in 1918, was a famous author and storyteller. I must have gotten the book as a gift in 1984, because that is the year it was signed by the author. The recipe for Tramp Eggs was written, in the great Kathryn Tucker Windham tradition, with a story to go with it. Ms. Windham related a story about how, during the Great Depression, there were many who found themselves homeless. Back then, these homeless people were often called tramps or hobos. Often, some of these poor displaced folks would turn up at the Tucker's house begging for food. As Kathryn tells the story, her mother would never turn anyone away and whatever they had to eat was shared with anyone who stopped at their kitchen door. One Sunday, her mom had prepared a dish of eggs baked in milk, butter and cheese, when there was a knock at the door. The hungry visitor was given a plate with a generous serving of the eggs. Usually, when these visitors finished eating, they would just leave their empty plates on the back porch, but this time, the man knocked again. When Kathryn's mom went to see what he wanted, he said, "Lady, would you please give me the recipe for those eggs? They're the best I ever ate!" After that, the eggs were called Tramp Eggs. Now days, the term tramp is not used and our sensibilities have changed about putting labels on people, but the fact remains that Kathryn's mother was a generous and kind lady. I wonder how many of us would routinely feed homeless people who stopped at our homes. Likely, we would be frightened and not answer the door at all! Nevertheless, I was curious about the recipe and decided to give it a try and I am also giving it an updated name, Generosity Eggs, in honor of Kathryn Tucker Windham's mother. Butter a shallow baking dish and break into it the number of eggs needed to serve guests. Sprinkle salt on the eggs and pour milk around them until the yellow tops are peeping out. Dot with dabs of butter. Grate cheese over the top. 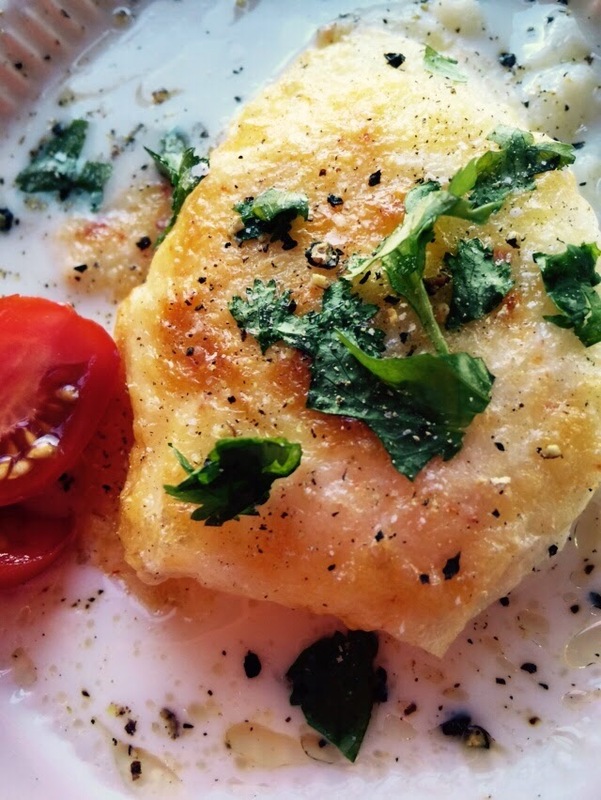 Bake in a slow oven (300 degrees) until cheese is bubbly and eggs are of desired doneness. Serve atop crisp toast or a nest of grits. Apparently, even those limited details were too much for me because, right off the bat, I missed a step. I got out my small baking dish, but forgot to butter it. Actually, this did not seem to matter, because nothing stuck to the dish, but I used skim milk and I suspect that the Mrs. Tucker used whole milk in her eggs. Two things: I think whole milk would have been a better, creamier option in terms of taste and I also think the pan would have needed to have been buttered if whole milk was used. The milk thickens and the sugars in the milk concentrate as the dish cooks and, while the skim milk became sweeter and thickened, it did not get as thick as whole milk would have gotten.The thicker milk would have adhered to the pan more but it would have resulted in a creamier sauce. 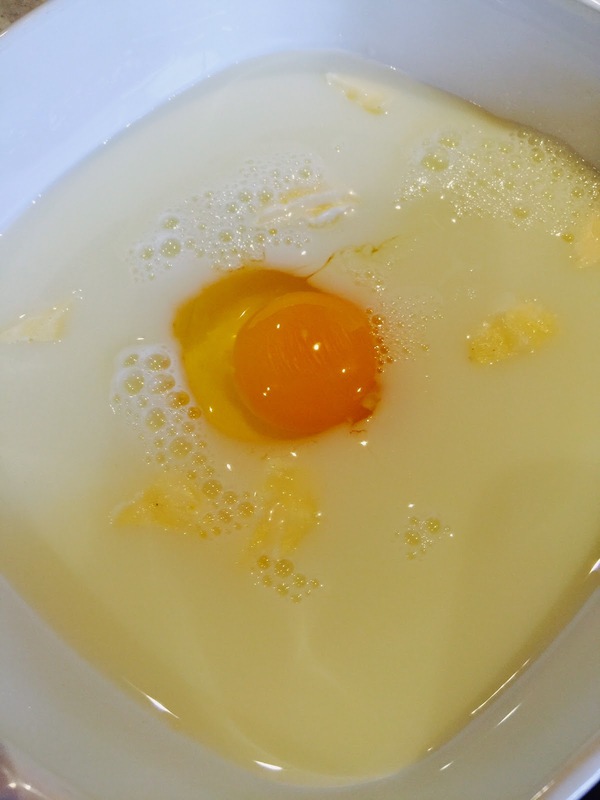 It took quite a lot of milk to fill the pan to the point that only the sunny yellow yolk was uncovered. In Kathryn Tucker Windham's defense, it would be hard to give an exact measurement here because so much is determined by how many eggs you are cooking and the size of the pan you are using. Just gently pour in the milk until the whites are covered. Now sprinkle with salt, to taste. Next, take a small pat of butter and cut it into small pieces and dot those around on top of the milk. I like a little heat and happened to have some jalapeño cheddar cheese, so I finely grated it and completely covered the yolk that was peeping out over the milk. 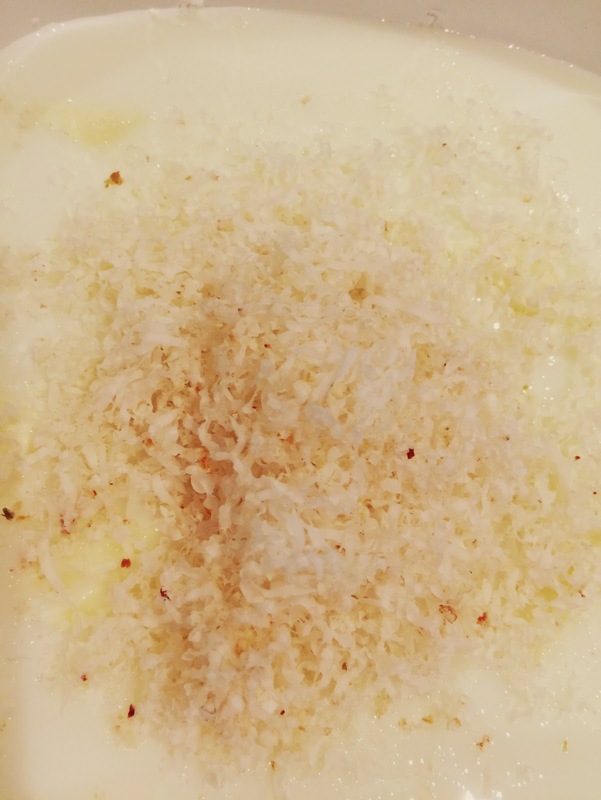 If I were preparing more eggs, I would cover the entire dish with the grated cheese. I'm going to say 1 cup of cheese for every 6 eggs. Next, the entire dish goes into an oven that has been preheated to 300 degrees. Here is where the real guesswork came into play, because I had no idea how long this dish needed to cook. The first egg I cooked was in the oven for 30 minutes and came out with a perfectly and fully cooked yolk. I sprinkled on some freshly ground black pepper and a few chopped cilantro leaves. It was really good! The milk had thickened a little and the egg was delicious. 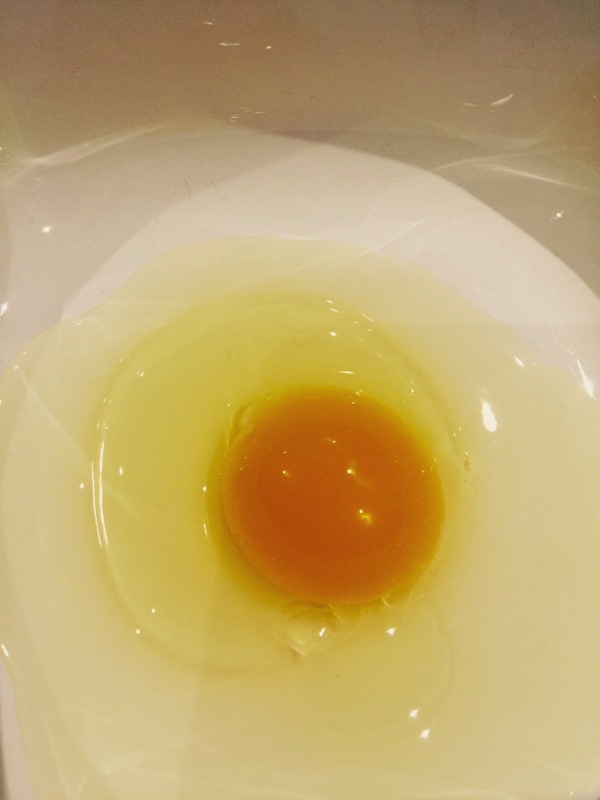 But still, I wondered how it would be if someone preferred a yolk that was less done, more sunny side up, so I cracked another egg into the remaining milk in the pan. This time, remember, the milk was already warmed up, so take that into consideration here. I put the egg into the oven and this time baked it for 15 minutes. I like sunny side up eggs, but in this case, I preferred the more well done egg. 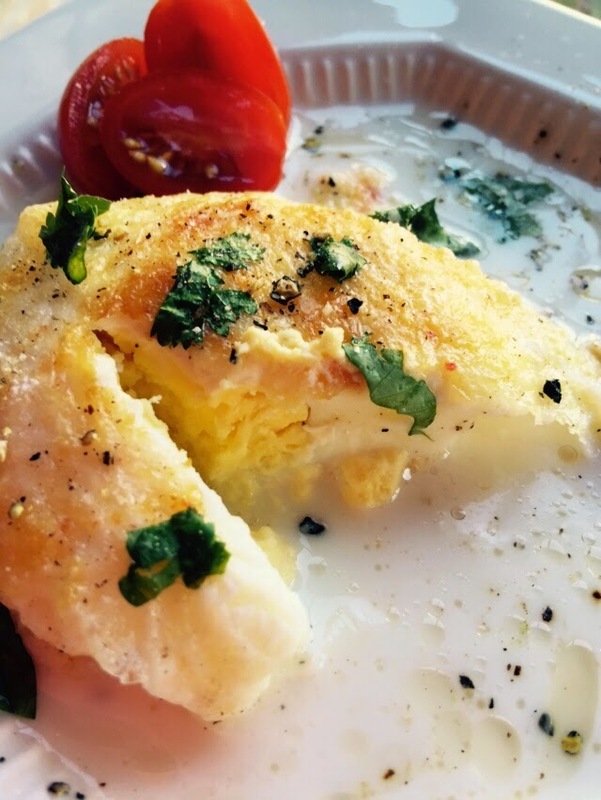 The texture of the white part of the egg was better in the egg that was baked longer. These eggs would also be good topped with chopped jalapeño or chopped green onions. 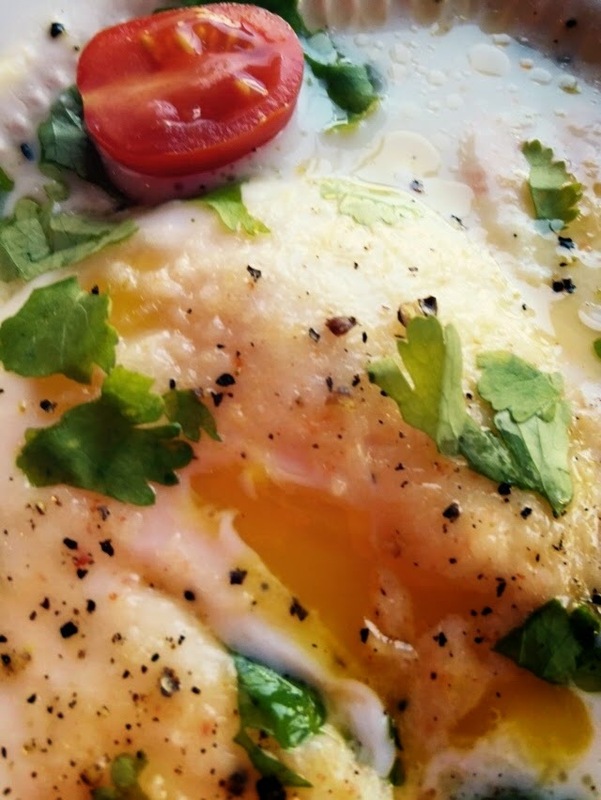 Give Generosity Eggs a try and tell us what you think! Preheat oven to 300 degrees. Butter shallow baking dish. Crack eggs and place in dish so that they are equally distributed with space between the eggs. 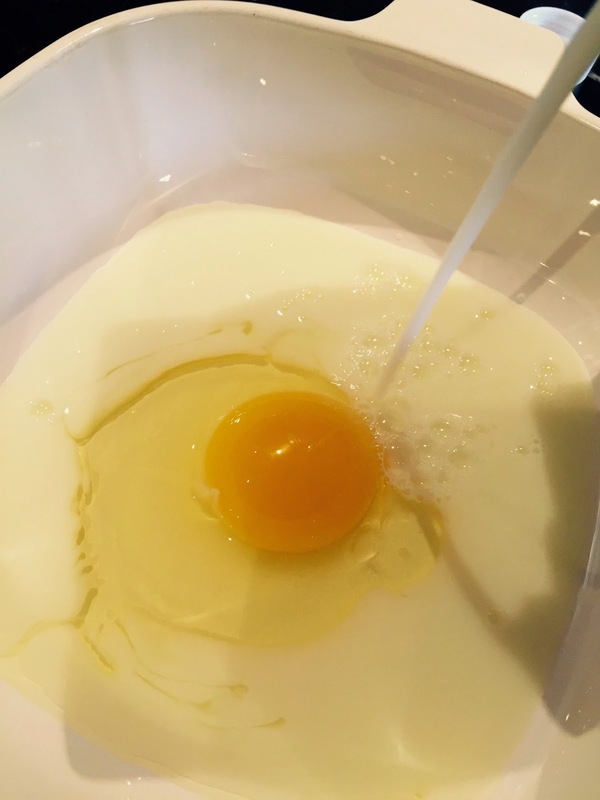 Gently pour milk into dish so that the milk covers the egg whites but not the yolks. Sprinkle salt over the eggs to taste. Sprinkle all the eggs with grated cheese. Bake for 30 minutes for fully cooked yolks. 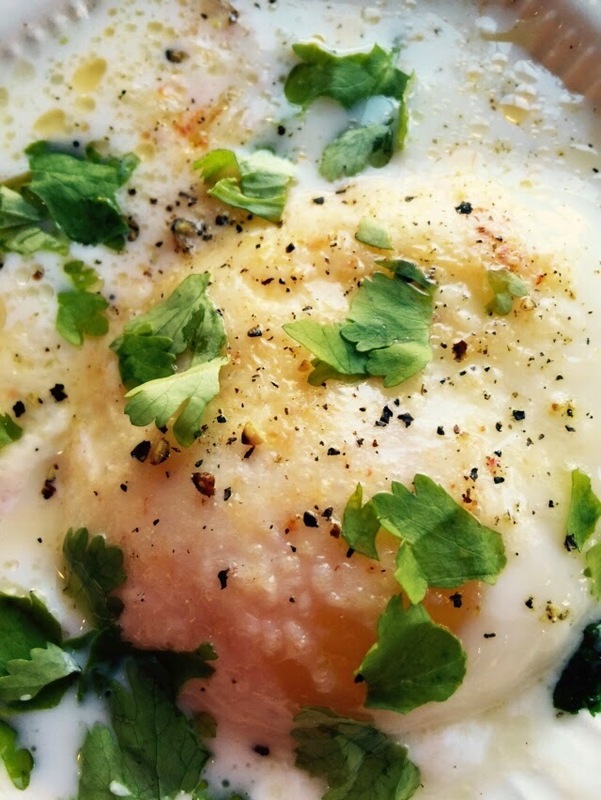 Reduce cooking time if you prefer yolks underdone. Serve with chopped jalapeño, chopped green onion, chopped red pepper or chopped cilantro. Now go show your generosity today! This is a sweet story and I love the recipe. I am a real egg lover so it appeals to me very much.